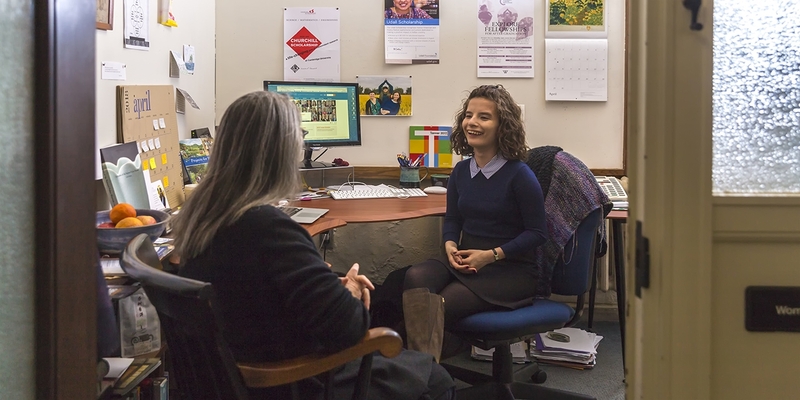 Built upon the foundations of Wellesley’s motto, Non Ministrari Sed Ministrare, Civic Engagement facilitates partnerships with community organizations and explores the role of social justice work across all career fields. The Civic Engagement program works to prepare Wellesley graduates to make a difference in the world. We offer opportunities to engage the world in sustained, collaborative, reflective, and meaningful ways that enrich a liberal arts education. Our programs include annual service opportunities on campus (including Day to Make a Difference and bi-annual Blood Drive), the Lumpkin Summer Institute for Service Learning, Alternative Breaks, and partnerships with community organizations throughout Boston and MetroWest, that offer students the opportunity to volunteer throughout the academic year. Our partner organizations have made a commitment to work with Wellesley students to help them develop the skills and knowledge needed to become change agents throughout their lives. Hear from members of the Ministrare Council about ways to engage with service while at Wellesley! Civic Engagement offers Days to Make a Difference, blood drives, donation opportunities, and more. Visit our events page and filter by "Civic Engagement" to learn about upcoming service days, and explore the resources below. Throughout the academic year, Civic Engagement offers opportunities to volunteer with local partner organizations throughout Boston & MetroWest. Youth programs are offered as well, for students interested in teaching, tutoring, or volunteering with grades 1-12. Learn logistics and details through the resources below. Looking for an in-depth way to engage with the community? Civic Engagement offers Alternative Breaks as immersive experience service experiences! For even more sustained, funded civic engagement opportunities, you could also pursue service fellowships, the Lumpkin Summer Insititute for Service Learning, or the Peace and Justice Studies Summer Internship. Browse the resources below to start exploring the possibilities. The Ministrare Council leads Civic Engagement’s programs, working with community partners, faculty, staff, and students to help bring Wellesley’s mission and motto to life. Ministrare Council is a group of 30 civic-minded student leaders who are responsible for guiding, planning, and implementing community engaged work. Ministrare Council is lead by six Fellows, each with a specialized focus area. The remainder of the Council is composed of Coordinators who each focus on a specific program. Ministrare Council offers Wellesley students an opportunity to work closely with professional staff in community organizations to learn about community based work. Ministrare Council Fellows and Coordinators, also attend monthly professional development seminars and other specialized workshops to help them develop the skills and knowledge needed to become ‘women who will’ in every career field upon graduation. Reach out to our Ministrare Fellows to discuss their program areas! The Ministrare Council organizes many aspects of Civic Engagement — you can make appointments with our Fellows (listed above) to discuss Alternative Breaks, Community Partnerships, or Wellesley Partnerships. For all other topics, please email civicengagement@wellesley.edu or schedule an appointment with Emily in Handshake. Throughout the academic year, Civic Engagement offers opportunities to volunteer with local partner organizations throughout Boston & MetroWest. Youth programs are offered as well, for students interested in teaching, tutoring, or volunteering with grades 1-12. Learn logistics and details about the program options here! Civic Engagement provides a variety of funding opportunities for Wellesley College students and groups for community engagement programs and projects. This resource provides descriptions of Civic Engagement Grants, Federal Work-Study and Service, the Katharine Timerman Wright Award, and the Beha Community Engagement Grant. Participate in the “All in a Day’s Work” Campaign!